Portbury is out and working today and tomorrow on the penultimate operating weekend of 2016. 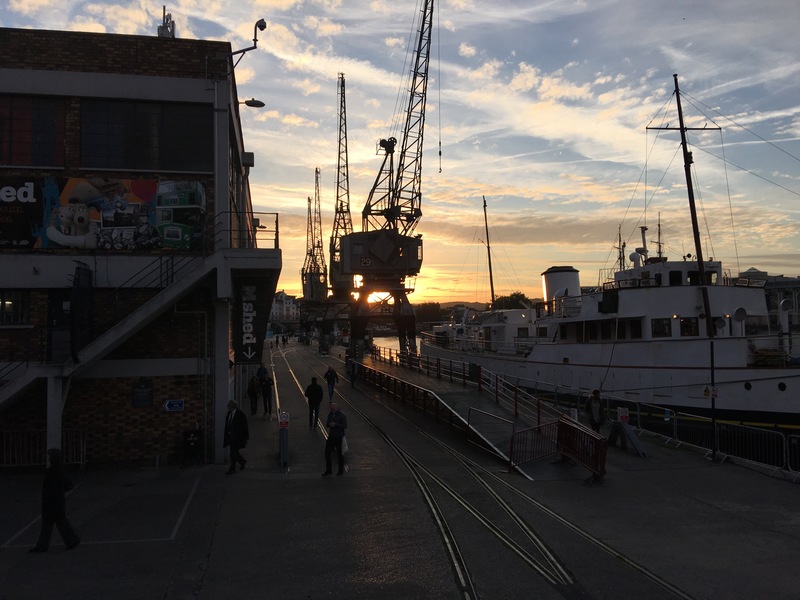 Here’s a photo of the harbourside in yesterday’s evening sunshine. A couple of photos to show the current extent of development around Museum Square. Traffic has been routed around the back of The Olive Shed and across the new level crossing for some time now. The excavator is digging up the old roadway. 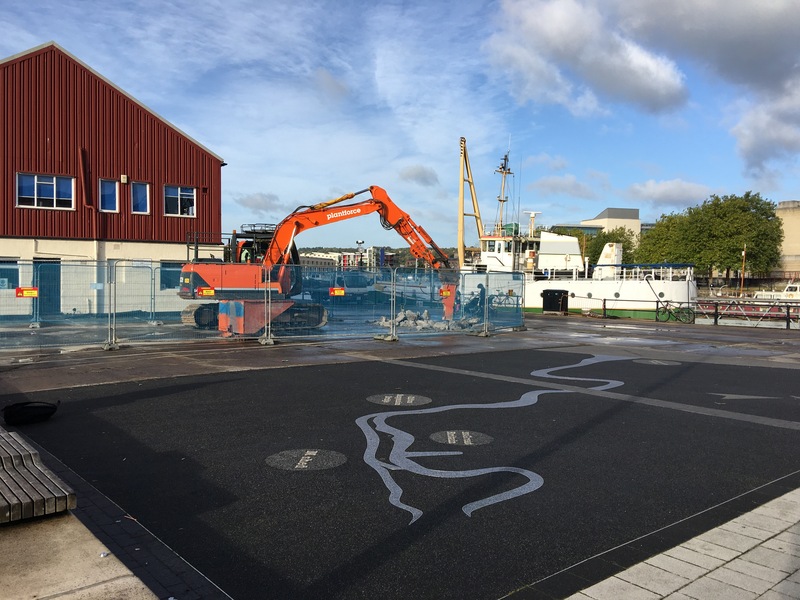 Phase 1 of the Sugar Quay development is finished with residents now moved in, and several shops and cafes have opened along the new footpath that connects the former Mud Dock Deli with Museum Square.